Situated in a shopping district, this hotel is within 3 mi (5 km) of Eagle Lake Golf Center, Begin Oaks Golf Club, and Fish Lake Regional Park. Shoppes at Arbor Lakes is 2.6 mi (4.1 km) away. 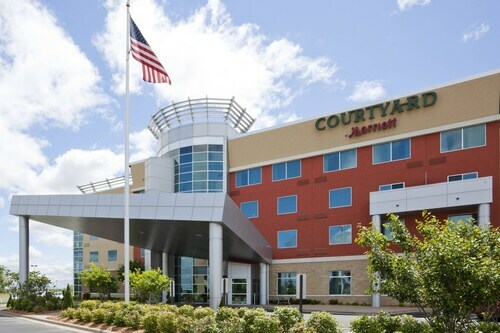 Situated in the entertainment district, this hotel is 0.5 mi (0.8 km) from Shoppes at Arbor Lakes and within 3 mi (5 km) of Eagle Lake Golf Center and Fish Lake Regional Park. Begin Oaks Golf Club and Elm Creek Park Reserve are also within 6 mi (10 km). 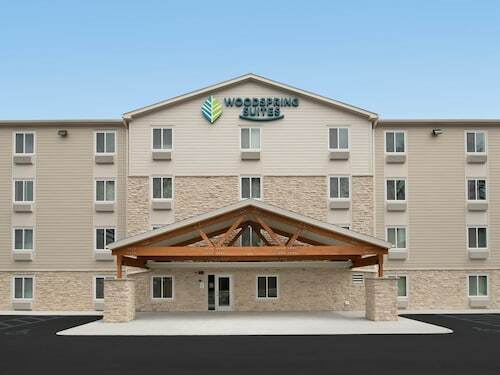 Situated in Maple Grove, this hotel is 0.9 mi (1.5 km) from Shoppes at Arbor Lakes and within 3 mi (5 km) of Eagle Lake Golf Center and Fish Lake Regional Park. Begin Oaks Golf Club and Elm Creek Park Reserve are also within 6 mi (10 km). 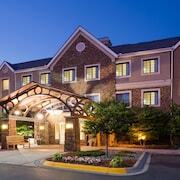 How Much is a Hotel Room in Maple Grove? 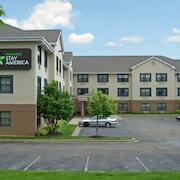 Hotels in Maple Grove start at $64 per night. Prices and availability subject to change. Additional terms may apply. Thought of as a quiet sanctuary from the hustle and bustle of Minneapolis, Maple Grove is a beautiful place to ponder existence, especially if you have the wee ones along. 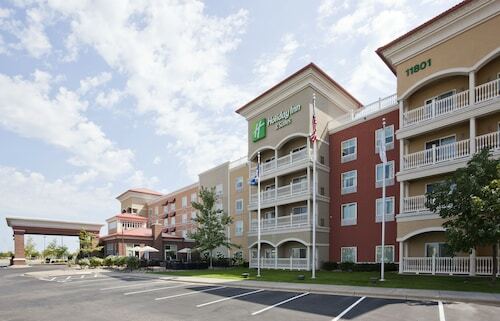 This is an easy-going town, with water fountains, spirited shopping centers, and GoKart park. Plus it’s the home of Lookout Bar & Grill, which is something of a local legend in these parts. The burgers are nearly as tall as the downtown skyscrapers, with volleyball out back and live music on the weekends. 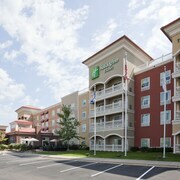 Take your pick of hotels in Maple Grove, MN and save us some fries. Come relax in Maple Grove, and remember to pack a bathing suit, for the Venetian Indoor Waterpark is where you’ll find locals mingling amongst friends and engaging in aquatic revelry. Be free. There’s an adventurer side of you that can be rollick in Maple Grove— like at Fish Lake Regional Park. There’s an abundance of boat rentals, so you can add kayaking, canoeing, or paddle boarding to your list of acquired skills. And if you fall in? Well, that’s what life is all about. Just remember that you can book your pick of motels in Maple Grove near the lake, so you can lather up in a shower after your afternoon in the sun. 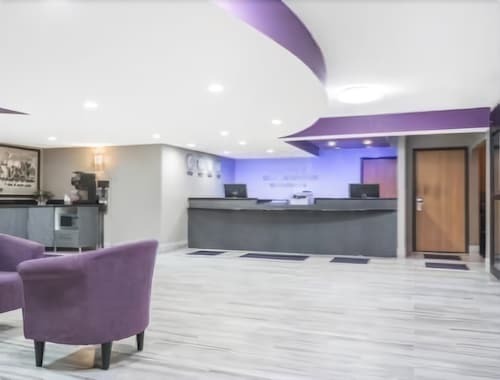 Once you’ve patted yourself dry, slide into the front seat of your rental car in Maple Grove, MN and head to a performance at Plymouth Playhouse. Give your creative senses a treat with their productions of music, dance, and art. With savings from Travelocity’s Maple Grove hotels, you can even go to a show every night of your trip and leave the Playhouse inspired. 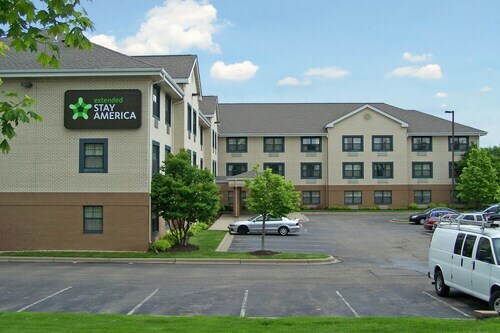 Turn off the phone, turn off the TV, and reconnect with your family when you visit Maple Grove. And count on Travelocity to get you the best deals on accommodations. 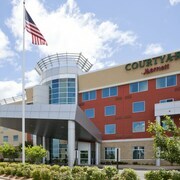 Plus, if you want to extend your trip and spend some time in the big city of Minneapolis, we can help you with that too. 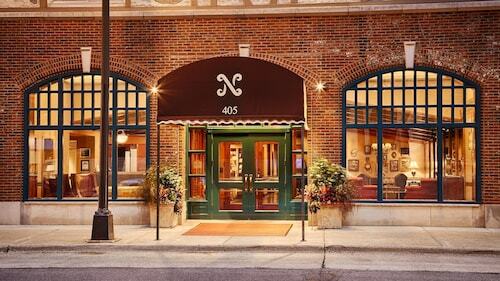 Turn to us for deals on Minneapolis hotels. See you in the Twin Cities.